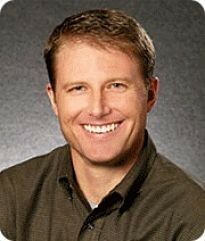 Steffan Tubbs became a national radio anchor for ABC and Fox News after departing the Central Coast. Tubbs has been a regular fixture on the Denver-based AM station KOA’s morning news show for more than 11 years. Denver police officers arrested Tubbs, 48, shortly before 10 a.m. after he allegedly harassed a victim over a phone. Officers charged Tubbs with domestic violence and disturbance via a phone. It is unclear whether Tubbs is accused of threatening the alleged victim. “She’s inside the apartment. He does have a conceal and carry permit, usually keeps a 9-milimeter in his car,” a dispatcher said. Colorado is a mandatory arrest state for domestic violence suspects. “Certainly saying terrible and harassing things to somebody via text message could be disturbance by telephone. It’s difficult to know the exact words based on the arrest alone. But certainly this was not a friendly hello,” legal expert David Beller said in an interview of Fox 31. If harsh words are domestic violence and there is a manditory arrest, women will be going to jail on a regular basis. Awww, did your girlfriend hurt your feelings? The law already covers both genders. Now go make the old lady lunch lol. Must have been one of those slow news days or something. So this guy is a “bleep” but how come HE gets arrested for TEXTING something – which I didn’t see what he did, but I’ll assume it must have been threatening – but people like Kathy Griffin DON’T get arrested for the picture she POSTED??? I have heard if the Secret Service or any governmental agency has gone after her but I sure hope so. Back to this guy, yeah, a jerk and hopefully he’ll learn his lesson to just “walk away” if the woman don’t want to be with’ya then let’it’be dumbass! Fox News? No, say it ain’t so! Part of the Fox News culture and an encouraged until caught “quality” they look for? Man-oh-man! Rupert, News Corp’ has become Harass Corp’! Harsh words are domestic violence in Colorado, that means you are arrest for a cooling down period and your dirty laundry will be viewed by the public. The moral of the story is to articulate a very decent verbiage, that will illustrate all of the personal information to be shared with the entire public and with that, the public may need a cooling down period. And here’s the link where it reports that he has been dropped from the morning show.